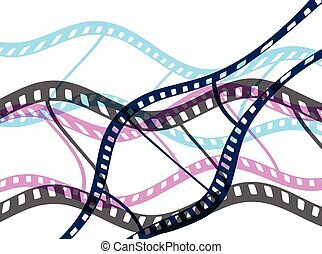 Twisted film reel isolated on white background - eps10 vector illustration. 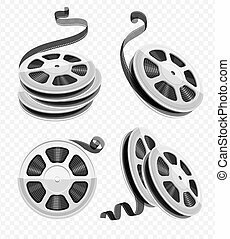 Film reel and twisted cinema tape isolated on white background, illustration. 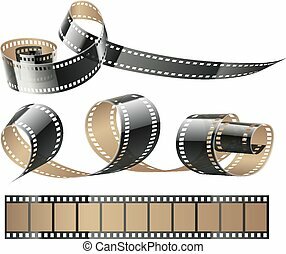 Film reel vector line icon isolated on white background. 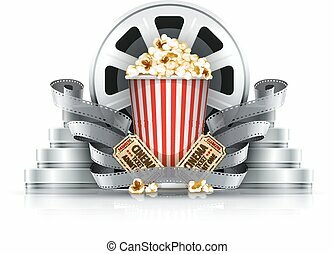 Film reel line icon for infographic, website or app. Icon designed on a grid system. 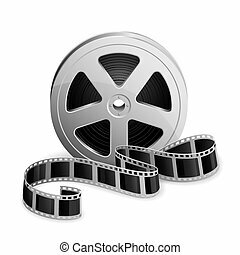 Film reel vector line icon isolated on white background. 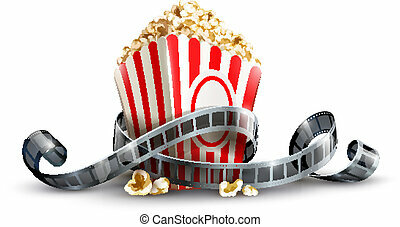 Film reel line icon for infographic, website or app. Blue icon designed on a grid system. 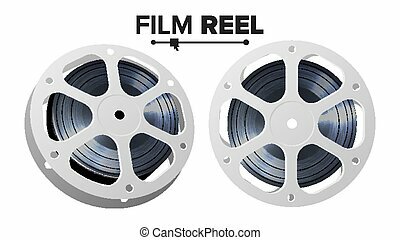 Film reel vector line icon isolated on white background. Film reel line icon for infographic, website or app. Scalable icon designed on a grid system. 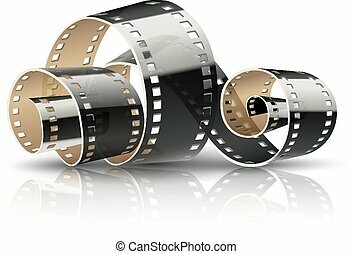 Film tape twisted reel for cinematography movies or photography. 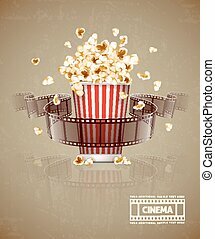 Cinema concept isolated on white (transparent) background. Vector illustration. 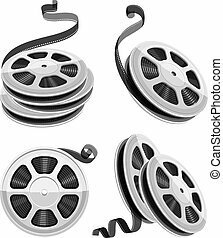 Film tape twisted reels for cinema movies or photography, isolated on white (transparent) background. Vector illustration. Movie video reel film disks with tape isolated. Set for cinematography. Motion picture production equipment icons set. Isolated on white background. Vector illustration. Movie video reel film disks with tape isolated. Set for cinematography. Motion picture production equipment icons set. Isolated on transparent background (Vector illustration). 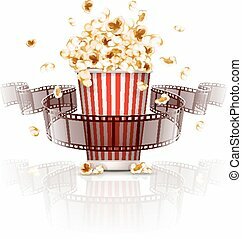 paper bag with popcorn and movie reel vector illustration isolated on white background EPS10. Transparent objects used for shadows and lights drawing. Full cardboard box filled cinema and filmmaking equipment cinefilms. Director's firecracker, disk with reel, isolated on white background. Eps10 vector illustration. 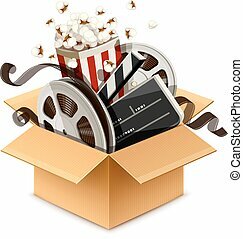 Full cardboard box filled cinema and filmmaking equipment cinefilms. Black white icons set. Director's firecracker, disk with reel, isolated on background. Vector illustration.